So, you want to play in the dirt? Well you’re going to need garden tools for that. At least that’s what my kids think I’m doing when I’m out in my garden sweating, digging and growing green things. Gardening is fun. I’m glad you are embarking on your journey to become a new gardener and steward of Mother Earth. But, first you’re going to need some tools. 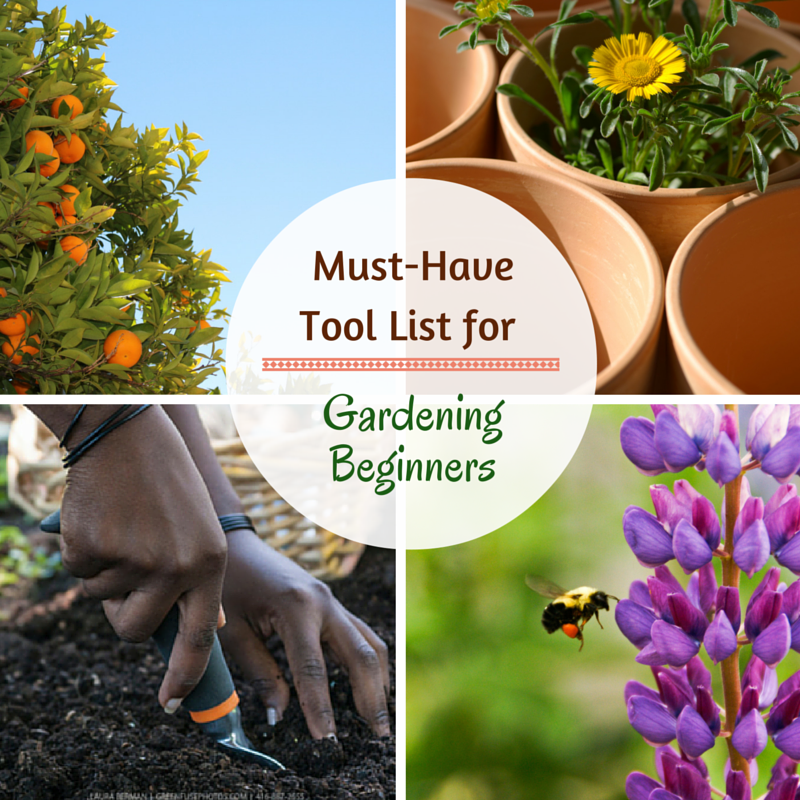 The beginner garden tools your going to need will be inexpensive and easy to use. Most can be purchased at your local Dollar Store. So, let’s get right to it. You can dig a hole with your hands, but you don’t want to dig one without gloves. Most of the gardening gloves I own that are acceptable for everyday use came from the Dollar Store. But, you can pay up to about $25 for a good pair of gardening gloves. I would suggest starting our with your Dollar Store gloves and then upgrading for style. My dad always say start from a position of enthusiasm. So, get the pink gardening gloves. Digging is hard to do with your hands. So, the first garden tool you’ll need is a small spade. (Especially if your dirt has never been cultivated.) You might encounter large rocks, centipedes and worms or even bricks under your soil. For that reason, it’s best to dig with a small shovel rather than trying to loosen compacted soil with your hands. Your gloves and your small, spade-shaped shovel will be your everyday gardening tools. The first year I began gardening I messed up two perfectly good pair of sneakers. Don’t be like me. Go to the goodwill and find an old pair of sneakers to dedicate to gardening only. It’s also helpful to have a pair of waterproof shoes and a pair of boots for bigger projects. When my budget says yes, I fully plan to invest in a pair of Merrell Women’s Waterpro Maipo Water Shoes. You have to kneel to dig holes and plant your flowers and veggies. If you are going to be planting in the dirt around cement or even grass, knee pads are essential. You can grab a pair of those from the hardware store or even a department store for around $20. You can purchase a plain gardening apron at any hardware store for as little as $2 or as much as $40. I suggest finding one for $5 or less to begin. Your gardening apron will come in handy when you’re planting seeds and need to keep them on your person or need a place for small tools.